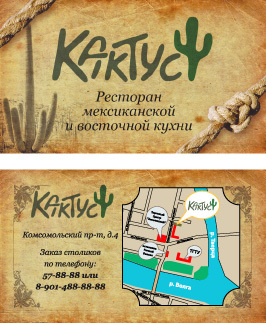 Cafe «Kaktus» is located on the address: Tver, 4 Komsomolsky prospect. Contact phone number: +7(4822) 57-8888.
info@kafe-kaktus.ru or call us right now +7 (4822) 57-8888. Look at the interior plan for making reservations. Print the journey scheme to cafe.